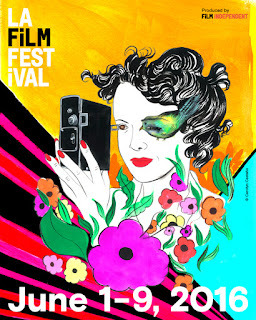 The LA Film Festival, produced by Film Independent, the non-profit arts organization that also produces the Film Independent Spirit Awards, unveiled the 2016 Festival poster artwork by Colombian-American Carolyn Castaño yesterday while proudly announcing the selection of Ricardo de Montreuil’s Lowriders as this year’s opening film. This year’s festival will run from June 1 through Jun 9. Castaño, whose mixed-media installation at San Diego’s New Americans Museum last year went on to show at the 56th International La Bienniale di Venezi. Her work in painting, drawing, video and mixed-media has been exhibited widely and was featured in LACMA’s Fútbol: The Beautiful Game, the Pasadena Museum of California Art and at the Museo de Arte Contemporaneo Rufino Tamayo in Mexico City. Her site-specific installation at the Los Angeles International Airport will be unveiled in June 2016. Castaño earned a BFA from the San Francisco Art Institute and her MFA from UCLA. A 2013 Joan Mitchell Foundation grant recipient, a 2011 California Community Foundation Getty Fellow and recipient of the prestigious C.O.L.A. (City of Los Angeles) Individual Artist Fellowship in 2011. Her work was also featured in the Los Angeles County Museum of Art’s critically acclaimed Phantom Sightings: Art After the Chicano Movement, a groundbreaking “post-Chicano” exhibition that explored shifting and evolving identity politics as filters for aesthetic solutions to art in various media. An extension of work exploring the role of female personas and feminine narratives associated with the narco wars and political dramas currently unfolding in Latin America, the mixed media installation which recently traveled to Venice is titled Mujeres Que Crean/Women Who Create. As a self-contained, one-woman exhibition, it included video, drawings, a site-specific curtain and site-specific collection of light-boxes depicting women created for the New Americans Museum. The centerpiece of the exhibition is a video depicting survivors of Colombia’s armed-conflict re-enacting a number of well-known number of recognizable feminine poses and gestures in historical artworks. With subjects juxtaposed with lush tropical landscapes, the video explores the role of women as mothers, sisters, and children of armed-conflicts, whose loss and survival is mirrored in that of the delicate ecologies surrounding the towns and villages from which they were once displaced as result of violence. 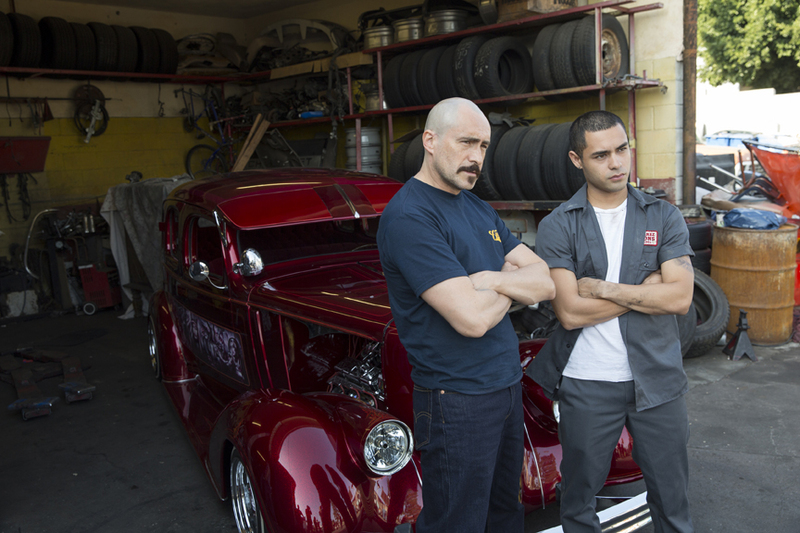 Set against the vibrant backdrop of East LA’s near-spiritual car culture, Lowriders follows the story of Danny, a graffiti artist who must choose between the world of custom tricked out ranflas pioneered by those like his old-school father and ex-con older brother, or the adrenaline-fueled, often outlaw spirit life that defines his own chosen form of creative self-expression. Starring Eva Longoria, Demián Bichir, Melissa Benoist, Theo Rossi, Tony Revolori and Gabriel Chavarria, the film is co-produced by Oscar® nominee® and Emmy Award winner Jason Blum (Whiplash, The Gift, HBO’s The Normal Heart).